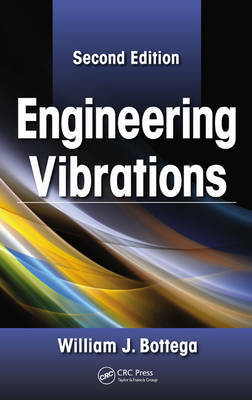 A thorough study of the oscillatory and transient motion of mechanical and structural systems, Engineering Vibrations, Second Edition presents vibrations from a unified point of view, and builds on the first edition with additional chapters and sections that contain more advanced, graduate-level topics. Using numerous examples and case studies to reinforce concepts, the author reviews basic principles, incorporates advanced abstract concepts from first principles, and weaves together physical interpretation and fundamental principles with applied problem solving. For each class of system, the text explores the fundamental dynamics and studies free and forced vibrations. This revised version combines the physical and mathematical facets of vibration, and emphasizes the connecting ideas, concepts, and techniques. Engineering Vibrations, Second Edition offers a systematic and unified treatment of mechanical and structural vibrations, and provides you with a complete overview of vibration theory and analysis. "This book is a pleasure to read. The book is very thorough and rigorous, yet it is student-friendly with very readable text and excellent illustrative examples." "The book's breadth of coverage, and the depth of its treatment of the mathematical foundations of the subject, makes it valuable as either a reference or a text for either a practitioner or a first graduate-level course in vibrations. ...As sound and complete a foundation for vibration of two-dimensional continua as you will find anywhere. If you have only one reference on the subject, this is the one to have." "In the field of vibration analysis, it is useful to observe many points of view and also gain insight as various experts approach a problem and then go about solving it. I would certainly recommend Bottega's Engineering Vibrations as a companion to some of the classical references."